Global is expected to grow at a significant CAGR of 14.83% during the period 2018-2022 as the scope and its applications are rising enormously across the globe. SEO software, also known as “Search engine Optimization” software, is a tool that allows the user to organize, identify, and analyze keywords and advance their organic search rankings. These software’s are scalable, faster, and accurate. They provide a means of insights, like keyword density, keyword ranking in real time, and ROI prioritization. The factors that are playing a major role in the growth of SEO software market are penetration of the internet all over the world, and rising use of enhanced AI to advance SEO experience. However, concern regarding data privacy among end-customers may restrain overall market growth in the years to come. SEO Software Market is segmented based on type and region. Desktop user and mobile user are the types that could be explored in SEO Software in the forecast period. The desktop users sector may account for the significant market share of SEO Software and is estimated to lead the overall market in the years to come. The sector comprises server systems, personal computers, enterprise computers, laptops, and others. SEO Software Market is segmented geographically into Americas (North America, South America), Europe (Eastern Europe, Western Europe), Asia Pacific (India, China, Japan, New Zealand, and Australia), Middle East (UAE, Saudi, and Qatar), and Africa (South Africa). Globally, North America may account for the substantial market share of SEO Software and is estimated to lead the overall market in the years to come. The reason behind the overall market growth could be the existence of huge online population, and developed private industrial sector. The United States is the major consumer of SEO Software in this region. Europe and the Asia Pacific are also estimated to have a positive influence on the future growth. Europe is the second largest region with significant market share. However, Asia Pacific is estimated to grow at the highest CAGR in the forecast period. The developing countries like India and China are the major consumers of SEO Software in this region. The key players of SEO Software Market are Yext, BrightEdge, SpyFu, Conductor, and Linkdex. These players are concentrating on inorganic growth to sustain themselves amidst fierce competition. The search engine optimization (SEO) software is a tool to improve the ranking and visibility of websites in the search engine results page (SERP), in turn enhancing website traffic. Global SEO Software Market to grow at a CAGR of 14.83% during the period 2018-2022. The report covers the present scenario and the growth prospects of Global SEO Software Market 2018-2022. To calculate the market size, the report considers the revenues generated from resellers and third-party service providers are excluded from the calculation of the market size. The scope is limited to software. Services, such as consultation, installation, training, and maintenance, are excluded. The overall market is segmented according to the geography and the type of SEO software. Global SEO Software Market 2018-2022, has been prepared based on an in-depth market analysis with inputs from industry experts. The report covers the market landscape and its growth prospects over the coming years. The report also includes a discussion of the key vendors operating in this market. Upsurge in penetration of Internet worldwide. WASHINGTON DC, WASHINGTON, UNITED STATES, October 15, 2018 /EINPresswire.com/ — As an entrepreneur, it is vital to invest in the right Search Engine Optimization (SEO) skill in this modern business landscape. Hiring out SEO Company or digital marketing consultant can be an expensive deal for the floundering businesses rather than the successful industries. Luckily, there are great SEO tools for small business that make this a lot easier. 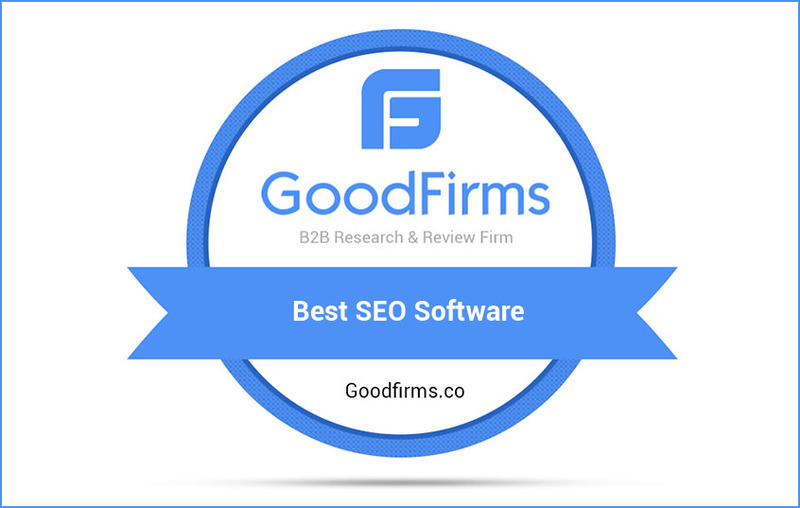 Here you can take a sneak peek at the recent GoodFirms report that reveals the Best SEO Software that are supporting organizations to get started with SEO. GoodFirms list the companies and best software’s after evaluating each of them through multiple methodologies. This includes three main criteria’s that is Quality, Reliability and Ability. Under these key factors, each company is identified by their complete portfolio, years of experience in their domain, market penetration and also refers to client reviews. As a web hosting company india, FPWD is known to provide excellent web hosting services and web space’. We are successfully serving clients all across the globe with our diligent Web Hosting services india. Classy Bazar Fashion is an extensive ethnic store where we connect local vendors & designers directly to global customers and remove middlemen, help them to promote..